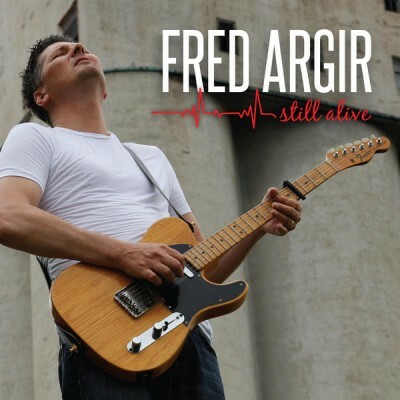 Still Alive is the latest record from singer/songwriter Fred Argir. A prolific artist, this marks Argir’s 6th album release in just 8 years. The music is guitar driven, classic alternative combined with with blues and gritty rock’n’roll vocals. You get the idea right away with the statement-making first track, The World Isn’t Round. It’s much heavier than what one would expect from a solo “singer/songwriter” album. This isn’t a folk acoustic night at the local coffee bar. This is rockin’ and practically grunge. Other songs like The Meditation are a more mellow, providing a dark and brooding ambiance. You have to listen poke around a bit to find them, but tucked away on this album are some thrilling guitar solos. I also really like the mix on this release. The vocals aren’t too far out front, and the recording doesn’t sound overly polished. It really does sound like authentic alternative rock, as good as you’ll ever find it.